Eloheim has spent the last 14 years unfolding a grand teaching. Each channeling session has offered additional insights and clarity as we access a COMPLETELY new way of living on planet Earth. We are opening the door way to life as Homo spiritus. This isn’t just a “woo woo” notion. Eloheim is guiding us, step by actionable step. This is Empowered Evolution. 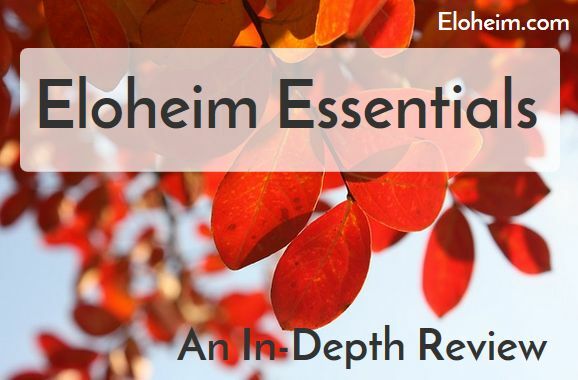 This package is designed to offer key components from Eloheim’s teachings. The ebooks and recordings will jump start your journey. 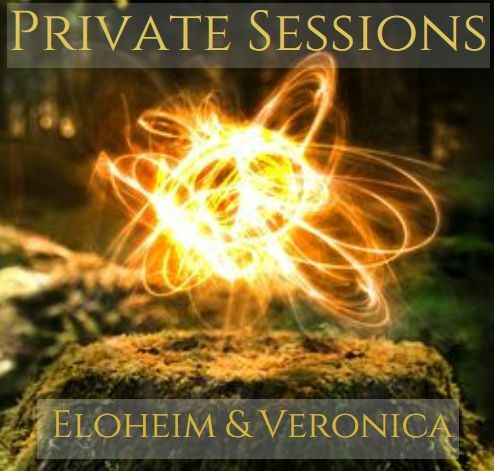 The private one-on-one with Eloheim and Veronica will facilitate a deep dive into your personal evolution. 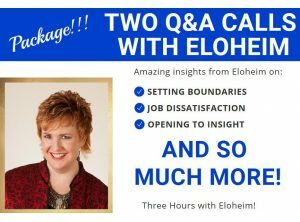 10 minutes with Veronica to set the energies and gather background information and then 15 minutes with Eloheim to answer your questions and offer insights into your next steps. Eloheim can cover an EXTRAORDINARY amount in 15 minutes! 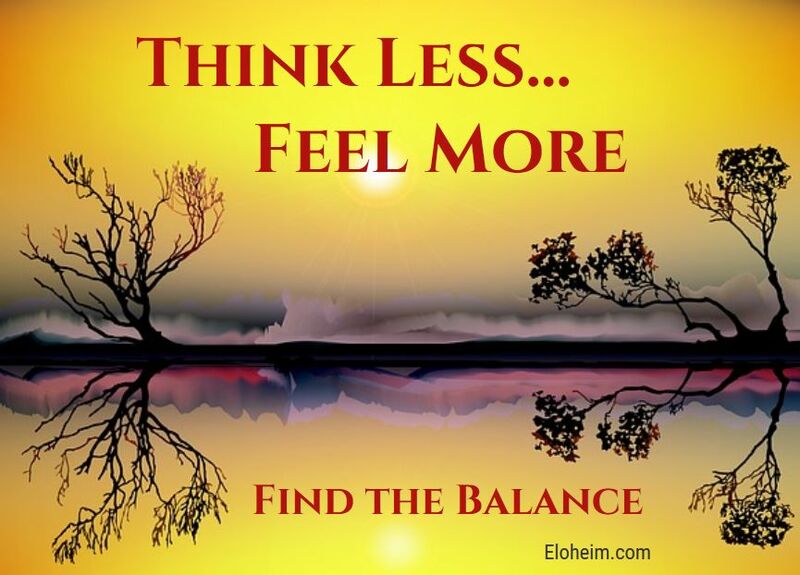 Eloheim specializes in creating easy-to-apply tools to shift the underlying energetic in any situation. 53 of these tools have been gathered into this three-volume ebook. 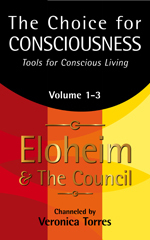 You can begin using these foundational Eloheim teachings! Volume one of the series contains 22 tools which help you recognize where you are experiencing victimhood. With that awareness, you can begin to live as a creator. Volume two’s 16 tools help you to live as a creator of your life by illuminating your relationship to the moment. This volume shows you how to work with your new awareness to create the life you want. What are the key Eloheim teachings as chosen by those that have been following the material for years? 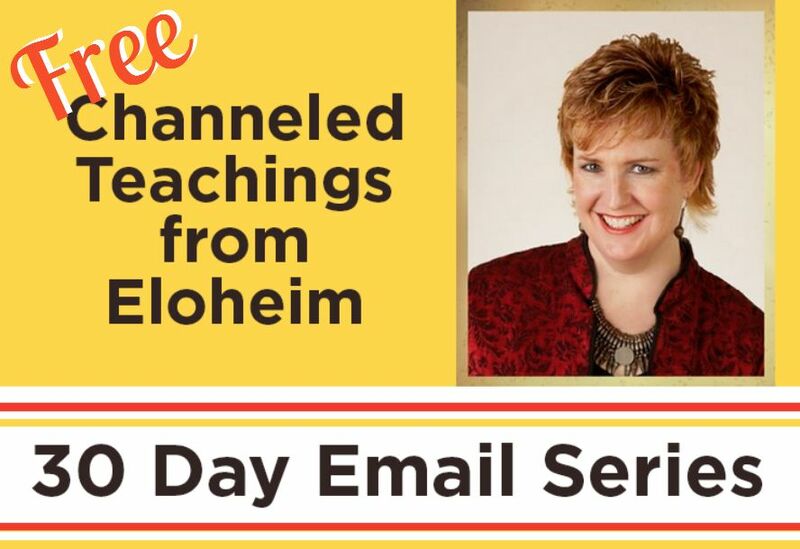 Watch this video to find out and hear Eloheim expand upon their teachings developed over the last 14 years. 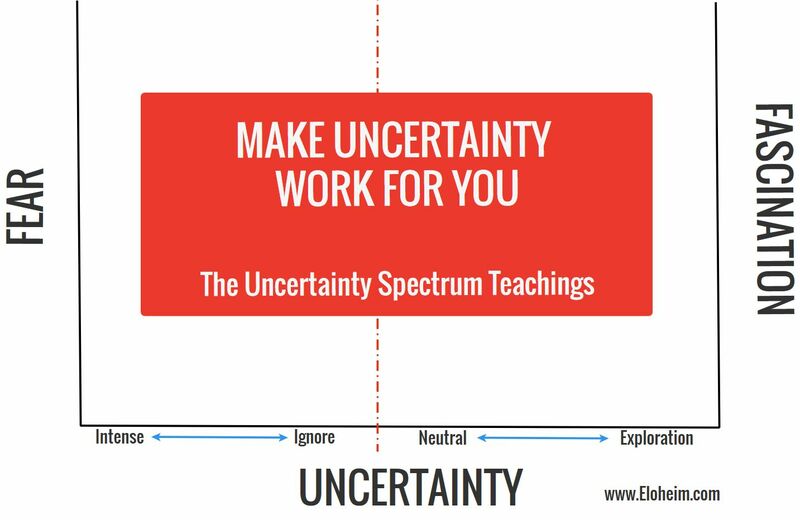 This vital call introduces the Uncertainty Spectrum. Uncertainty is a fact of life, and we spend much of our life being afraid of it – thanks to our preprogrammed Survival Instinct. Constant uncertainty is not always danger. A healthy relationship to uncertainty offers you access to the field of infinite possibilities. Eloheim and Veronica had many conversations to devise and refine the information presented here. Not to be missed! 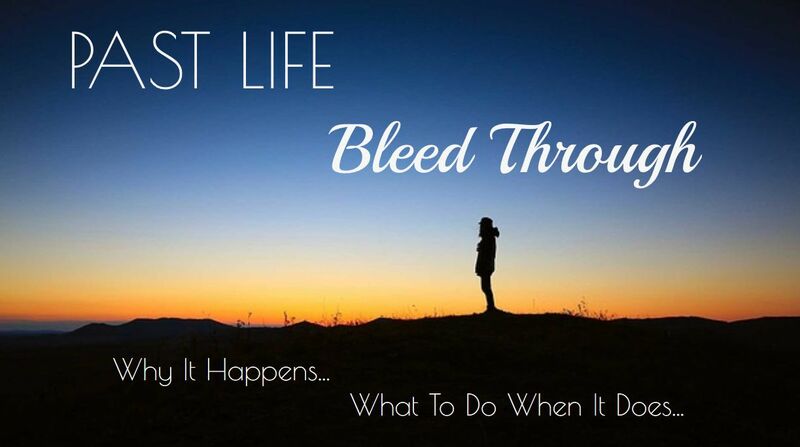 As we live more consciously and increase our sensitivity to our surroundings, we being to experience past life bleed through. This hallmark of the spiritual journey is not without its challenges. Learn how to navigate the emotions and memories from other lifetimes and harness them to facilitate your evolution. We have the opportunity to ascend ALL of our lifetimes! This lifetime leads the way. So much of our communication is non-verbal. What story are you telling the world? Living consciously includes being aware of the energetic signals you are broadcasting. 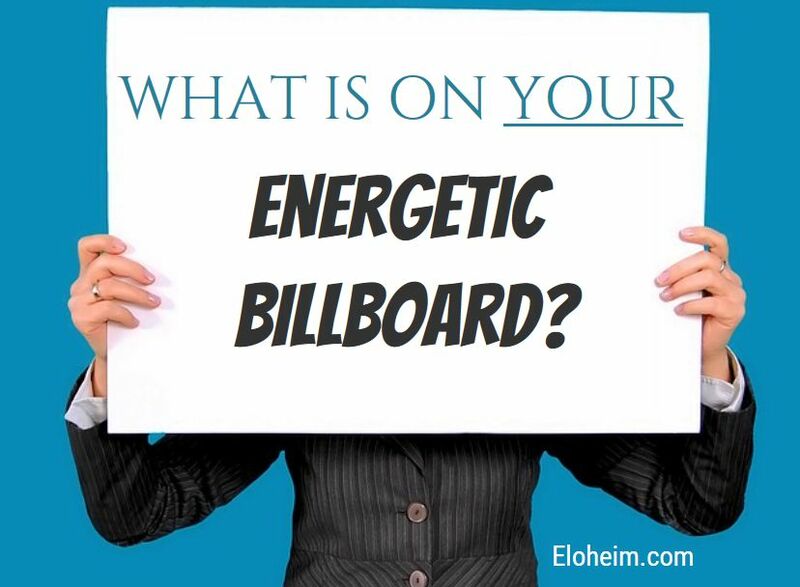 Learn to “read” your energetic billboard and shift its message to ensure you are offering the world the current version of you! This call features the introduction of a new tool: The AHA Journal. This tool offers wonderful support for the information gatherer in all of us. These calls will connect you to the leading edge of Eloheim’s teachings. Feeling overloaded, overwhelmed, or stuck? How do you stay centered while being pulled in so many different directions by family, work, projects and life? There is a step-by-step way to regain your center and live with your body, personality, and awareness in balance. Eloheim explains it all (using a finger puppet and other props) beginning with the FUNNIEST channeling We’ve ever done. 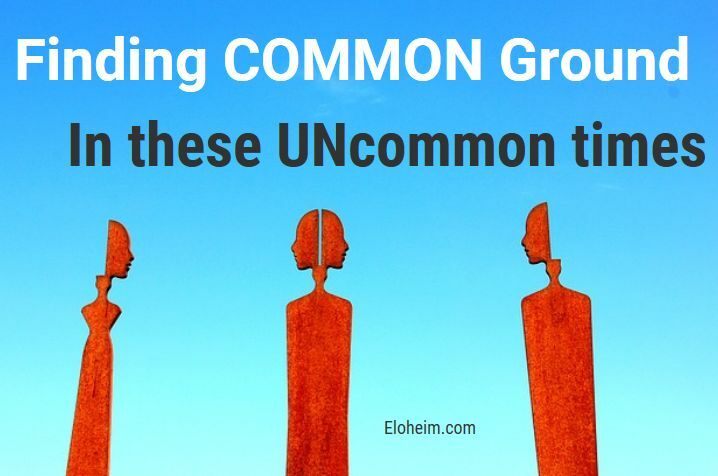 I’ve included SIX calls on this topic as Eloheim took the concepts into new places and went deeper and deeper during each call. This material CHANGED MY LIFE. I’m so pleased to offer it to you. 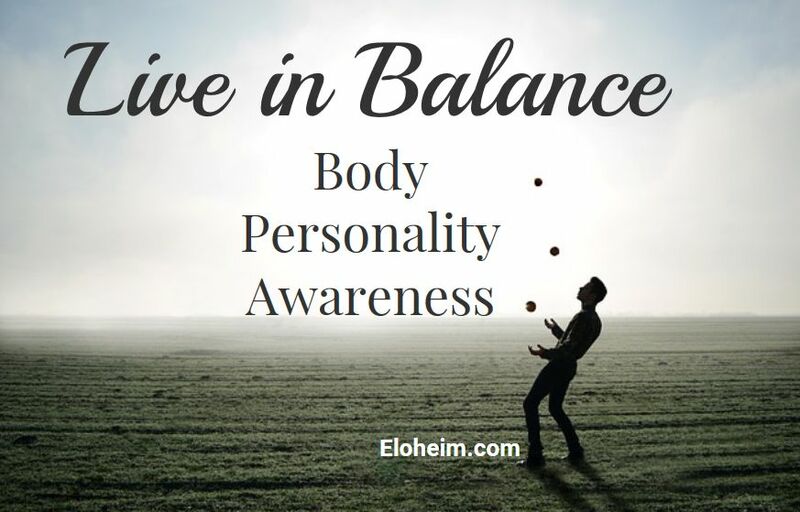 •	Eloheim’s definitions of body, personality and awareness. •	The strengths of each and which tasks they should stop doing immediately. 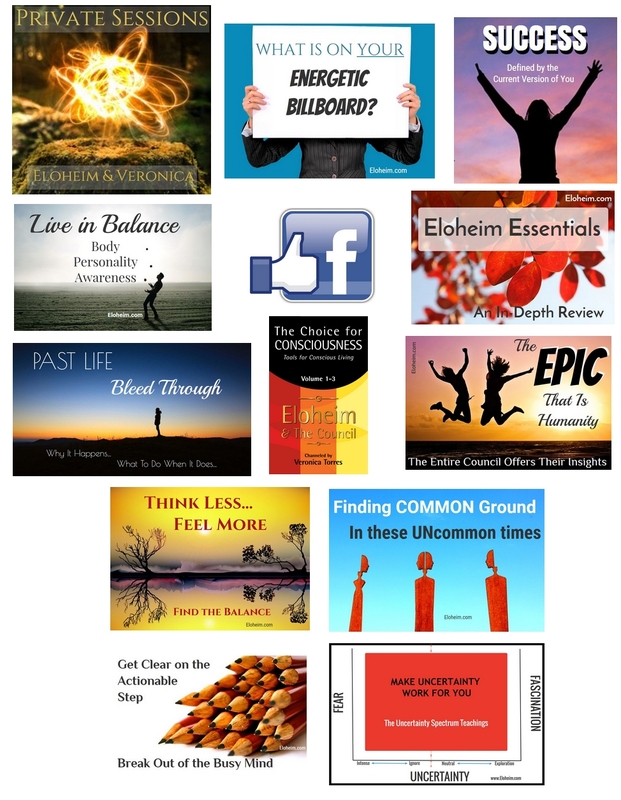 •	How the balance of the three allows you to consistently connect to the now. •	Correction of the personality/body relationship (break the cycle of triggers and fear). •	The freedom and free time that is gained when the awareness is not drown out by the personality. •	Consistent access to the current version of you. •	Liberation from the burden of the overwhelmed personality. •	Discovery of the immense contribution the body has to offer. •	How to catch the “Mr./Missy Crazy” voice and transform it. A love letter from The Council. Veronica channels seven different groups which are known collectively as The Council: Eloheim, the Visionaries, the Guardians, the Warrior, Fred, the Girls, and the Matriarch. 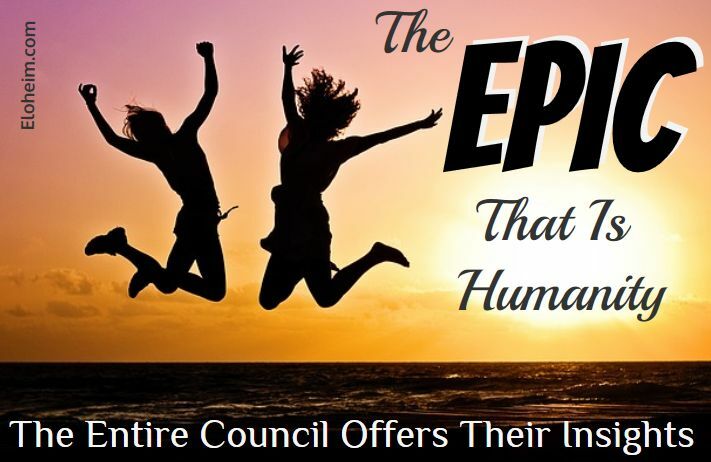 This recording includes a message from each as they offer their perspective on humanity’s exploration of Earth and how to access the full potential of being human. You will come away with no doubts about how much you are loved and how important you are to life itself. You are invited to join our private Facebook group! Become part of our vibrant community as we consciously evolve together. We offer friendship and support as you connect to the life you have always dreamed of. Veronica is active in the group on a daily basis! The Industrial and Technological Revolutions had suppressed our connections to nature, plants, animals, and the seasons and replaced that with scientific methods, which required the need to prove and reproduce results. We elevated thinking over wisdom and insight. Thinking so much has not served us. At this point in our evolution, we are able and desiring to reconnect to the heart. We are asking the heart to join the conversation and to be a part of making decisions. This call will teach you to think and feel in BALANCE. As we evolve, we must evolve ideas that no longer serve us. Our relationship to “success” is an important place to begin. 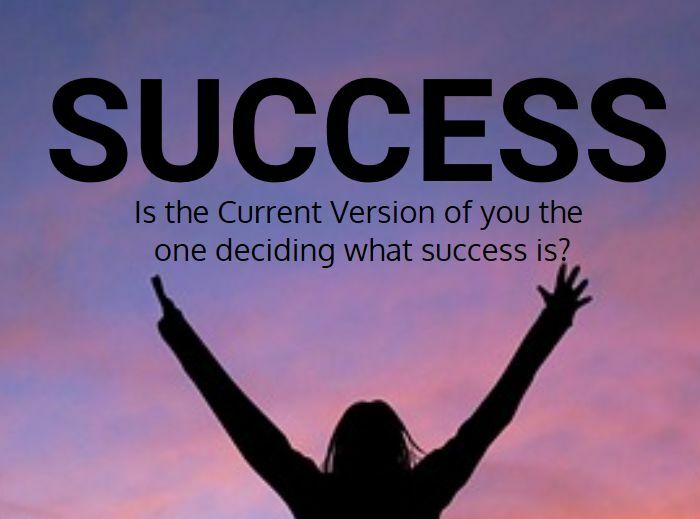 During this call, Eloheim probes deep into the notion of success, discussing its relationship to outcome and how our past versions of self often hold outdated ideas that were implanted in us by the authority figures in our life. They reveal that dreams of success are often those of our teenaged self and that the background “shoulds” running in our minds make us out to be the bad guys in our own life, smothering any feelings of success. We share the Earth journey with billions of other people. The Internet allows us to learn more and more about each other. That knowledge can bring up difficulties and confusion. 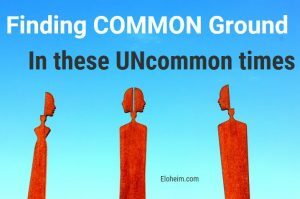 Eloheim shows us how to seek common ground (starting with “we all breathe”) and do our part to build a world that supports the unique expression we all contribute. Try to sign your name with 25 pencils at once. How did that work? 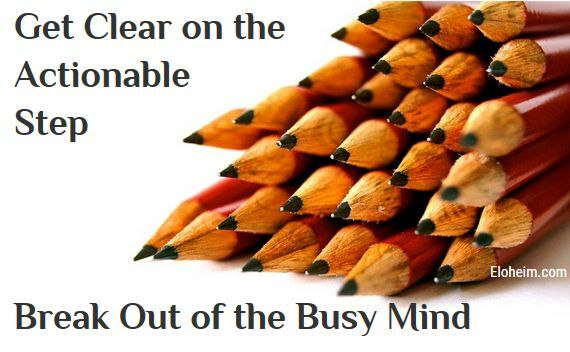 Living with a cluttered mind is just as ineffective. The focus of this call was on how to clear mind clutter. It’s no secret that we humans have busy, busy minds, minds full of thoughts about the things we have to do, want to do, didn’t do, and past memories. These thoughts keep insight from being accessible according to Eloheim, and so they are teaching us to sink into the moment in order to allow insight to show up. Eloheim explains the process of clearing our mind clutter using their spreadsheet tool. This new tool cuts through the confusion, breaks down the crowded thoughts, and brings the actionable step into clarity.